A number of Friday evening flights into and out of Queenstown, New Zealand’s fourth busiest airport, have been cancelled or rescheduled because of too many unwell air traffic controllers. Airways New Zealand, the nation’s air traffic manager, said on Friday it did not have enough staff to operate the Queenstown Airport tower beyond 1930 local time. This was one hour and 50 minutes earlier than scheduled. “Airways regrets that due to unforeseen staff sickness we do not have sufficient air traffic control cover to safely operate the Queenstown tower this evening,” the Airways statement said. “Approximately six flights are being rescheduled and airlines are currently making other arrangements for their customers on these flights. Airways New Zealand apologised to all affected travellers for the disruption. In response to a question on Twitter, Airways New Zealand said it made every effort to cover gaps in its rosters. However, unfilled shifts could only be covered by controllers qualified to work at that tower. “E.g an Auckland controller can’t work in Wellington unless they’ve trained and rated there,” Airways New Zealand explained. Hi Trent, we do make every effort to cover gaps in the roster. Unfilled shifts can only be covered by controllers who are qualified to work there. E.g An Auckland controller can’t work in Wellington unless they’ve trained and rated there. Queenstown Airport said on Twitter the terminal would remain open until 2200 “to ensure all affected passengers are looked after”. Passengers were advised to contact their airline. The Queenstown Airport website showed Jetstar had cancelled four flights. There were two arrivals – the JQ223 from Sydney and the JQ299 from Auckland – and two departures – the JQ220 to Melbourne and the JQ294 to Auckland. Meanwhile, Air New Zealand had moved forward its NZ628 service to Auckland from 1955 to 1910 and shifted two arriving flights from Auckland and one from Wellington to reach Queenstown before the 1930 shutdown. Airways New Zealand said the Queenstown air traffic control tower would re-open as scheduled at 0610 Saturday “with no forecast gaps in coverage”. 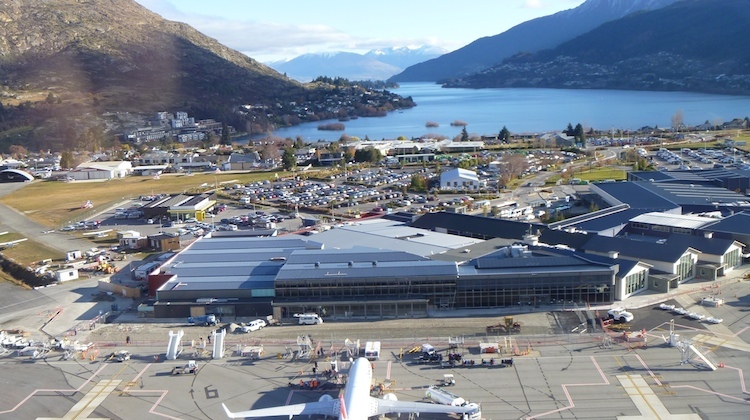 Queenstown Airport handled 2.24 million passengers in calendar 2018, the fourth highest among all New Zealand airports behind Wellington Airport (6.33 million), Christchurch Airport (6.96 million) and Auckland Airport (20.9 million).